GUELPH, ON September 27, 2018 – One of Canada’s most popular and enduring bands will take the stage when Cowboy Junkies perform at River Run Centre on Friday, October 12, at 8 p.m. The Main Stage performance is presented as part of the Richardson GMP Music Series. 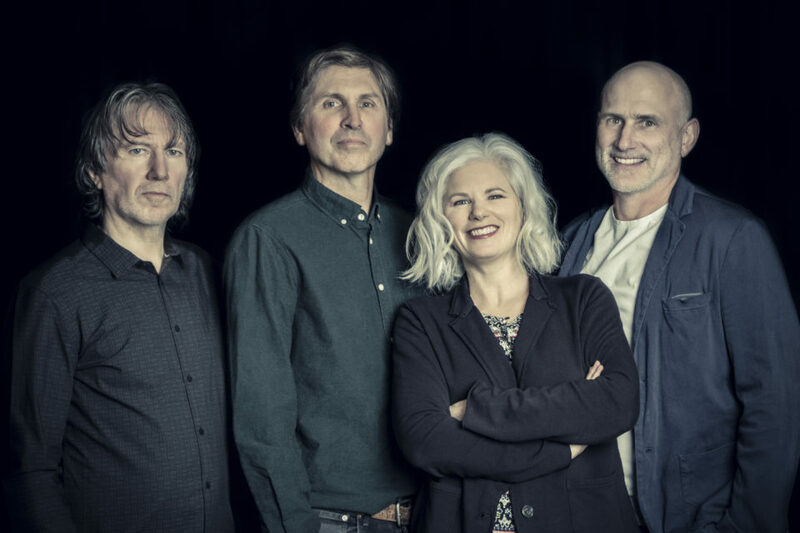 Known for a uniquely Canadian brand of music that blends country, blues, folk and rock, Cowboy Junkies include vocalist Margo Timmins, songwriter and guitarist Michael Timmins, drummer Peter Timmins and bassist Alan Anton. The group first came together in Toronto during the 1980s, performing its first concert at Toronto’s Beverley Tavern in 1985. During a career spanning three decades, the members of Cowboy Junkies have toured the world – including throughout North America, Europe, Japan and Australia – and were twice nominated as group of the year at the Juno Awards. In July, Cowboy Junkies released All That Reckoning, the band’s first album of new material in six years. Featuring songs that focus on personal reflection and political change, All That Reckoning has been met with widespread acclaim. “They’ve never repeated themselves, nor backed away from new collaborations or ideas,” Pitchfork magazine says of Cowboy Junkies. Since their 1986 debut album, the blues-inspired Whites Off Earth Now! !, Cowboy Junkies have produced more than 20 recordings. The group’s celebrated second album, 1987’s The Trinity Session, was recently re-mastered and re-issued as a double-album vinyl release. Other recent releases by Cowboy Junkies include the 2015 box set Notes Falling Slow and The Nomad Series recordings. Tickets to see Cowboy Junkies cost $52 for adults, $50 for seniors and students. $20 uGO tickets are available to university and college students with valid ID. $5 eyeGO tickets are available to high school students with valid ID. Tickets can be purchased at River Run Centre box office, 35 Woolwich St. in Guelph, by calling 519-763-3000, or online at riverrun.ca/cowboy-junkies.